A patient portal that is accessed through a secure login. It includes a Personal Health Record (PHR) and allows your practice and patients to exchange information securely and in full compliance with HIPAA. Having a patient portal is one of the many requirements for Meaningful Use. A data collection vehicle. Patients login to the secure portal to update and verify current medical, demographic and insurance information before coming to the office. WRS Health clients using the integrated patient portal and personal health record (PHR) see at least a 13% lower no-show rate. But the benefits go beyond improving the rate missed appointments. By streamlining communication with your patients, you can save two of the most important components of your practice: time and money. The patient portal is accessed through a secure login. New patients who are requesting appointments can go online and add all demographic, insurance, and medical information prior to coming into your office. Everything can be done prior to your patient’s encounter, and the information flows into the integrated EMR. Practices can upload their own practice-specific forms which can be printed out at the patient’s home and brought to the office. Your patients receive regular communications with high value information from your practice. These include health education relevant to their diagnosis, appointment reminders and health maintenance reminders. Patients value the convenience of requesting Rx refills, viewing lab results, messaging and arranging appointments online, through the secure patient portal. Send test results to your patients, as well as medication instructions and educational material. All patient data is encrypted, ensuring HIPAA standards are being met. You can create your own patient communications or customize standard communications to meet your own goals. Some possibilities include a map and a link to get directions to a new office; information about books or products, along with a link to purchase them; or survey to gauge patient satisfaction. You are the ultimate authority regarding how much data is conveyed to your patients via the patient portal. At no point does your patient have access to the provider-created notes. Your patients can only see what you want them to see; physician notes remain protected. With people increasingly using the web to seek medical information, a professionally-built website will place your practice front and center in your community – and makes a great first impression to new patients. Easy to navigate tabs give you the ability to select styles and colors. Add information about your practice, including specialized services, provider information and patient forms. Educational content based on the services you offer. Ability to make changes as often as you like and are updated in real time. The ability to produce a beautiful and content-driven website is presented within your EHR. There is no need to hire an expensive designer or programmer. Easy to navigate tabs give you the ability to select styles and colors, add information about your practice, choose educational content and promote your specialized services. Changes can be made as often as you like and are updated in real time. Under the new MIPS reporting requirements, physicians must use secure electronic messaging to communicate with patients on relevant health information. The WRS Health patient portal allows for secure messaging so patients can correspond with your practice. Exchanging health information from your patient portal will help you meet MIPS quality measures requirements. 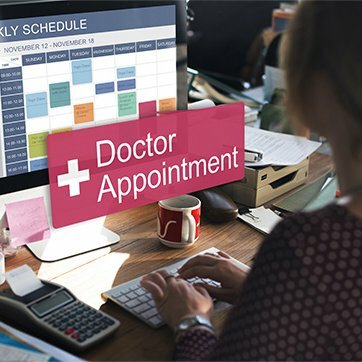 By providing patients access to their health information, test and lab results, appointment schedule, you are are helping improve patient satisfaction.With a professional Practice Website and Patient Portal from WRS Health, you’ll make a great first impression that will lead to long-term patient relationships. With a professional Practice Website and Patient Portal from WRS Health, you’ll make a great first impression that will lead to long-term patient relationships.